As per the Goods and Services Regime, September is a crucial month for all the taxpayers, as it is the final month for the taxpayers to claim Input Tax Credit for the Invoices issued in the Financial Year 2017-18 as well as to fix any error that is made while filing the GST return. On 1st July 2018, the Goods and Services tax came into being and from then on, the taxpayers are getting used to this new form of taxes under the Indirect Tax Regime. 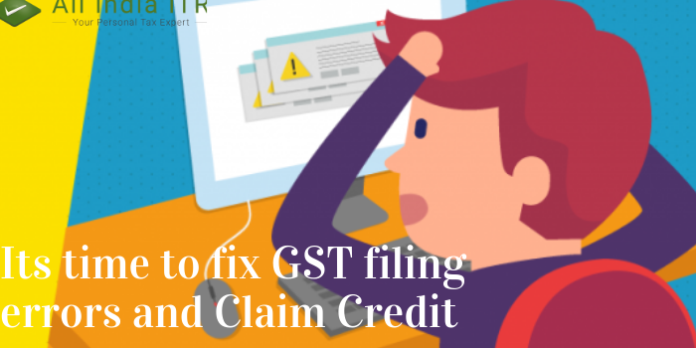 Since GST came into being, there have been instances of incorrect claims of Input Tax Credit. There are a few cases of omissions in reporting of transactions, all these mistakes can be fixed in the month of September. As per GST rules, if a taxpayer forgets to claim Input Tax Credit for the invoice pertaining to Financial Year 2017-18, the taxpayer has the last opportunity to avail it by the end of September. Moreover, if a taxpayer missed reporting any details related to credit and debit note issued in 2017-18 in the earlier monthly GST return forms, then he can do the same only in this month’s tax returns. No rectification of error or omission with respect to the details furnished in the GST returns filed earlier in 2017-18 will be allowed later than the Goods and Services tax returns filed for September 2018 or furnishing of the relevant annual return, whichever is earlier, as per the GST rules. Presently, the taxpayers file a form 3B to file their GST returns, this form contains the details related to total purchases and sales and Goods and Services Tax Return Form 1 that contains the details of outward supplies. As per the reports, the GST council may bring out new Goods and Services Tax Return Forms, which are expected to roll out from the 1st January 2018.